So that’s how it all started. But it was starting the project in this way, however, that enabled us to make the Smash Bros. Brawl development team something like no other. That’s right. There were suggestions to house the project at Nintendo in Kyoto, but after talking through some ideas, we determined that it was necessary to do the project in Tokyo and we rented an office in Takadanobaba specifically for this game. I even moved to Takadanobaba. Right, for the project. I mean, if you want to make a new Smash Bros., you have to be ready to put everything else on hold if you want to make it work. Marriage of home and the work place. Right. Then, just when we were looking for some help, we secured some staff from another video game developer. We were introduced to this company by Miyamoto-san. You can share the name if you like. Oh, okay. It was Game Arts. It was just after they had finished Grandia III and they told us that they had some staff free. So, we decided to leave the main part of preliminary development to them while we began to hire the remaining staff we needed. 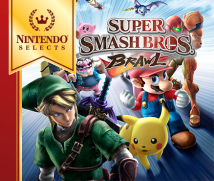 We did so by looking for people specifically for the Smash Bros. Brawl title. I think it’s quite unique to conduct hiring specifically for one game. After all, it’s clear when we say that “we are seeking help for this project,” but then there was no guarantee of employment once the project was finished. Even so, I think people who work together at these occasions tend to form the right connections and that, including myself, several of our staff will probably work with each other sometime in the future. The reason I myself became a freelancer is out of the limitation I felt from working endlessly with the same people on the same series. Also, special projects like this often give rise to a special level of trust, sometimes creating a deep and lasting camaraderie. Right. I think it’s possible for good things to happen when you bring in outside staff or outsource some work. In fact, the staff members we pulled together for this project, including everyone from Game Arts, were all highly-skilled individuals. How many staff members did you end up having for this project? Roughly 100 individuals. Of course, there would be even more if you count supervisors and contractors. Looking at all the staff that appears in the staff credits, it was about 700 people. So the number of people involved fulltime was roughly 100.